When your lips are chapped, what's the first thing you think about? Cupcakes, of course! Don't you wish you could taste that frosting flavor all day long? Well, now you can! A sweet gift for someone just as sweet. 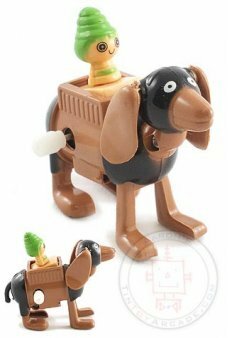 Randi wears green bee hive hairdo while she rides a Big Brown Dog in Australia. Just wind up the Big..
Our Retro Robot Reindeer is eager to lead Santa’s Sleigh or just hang around your Christmas tree! T..
Our Hobby Horse likes to flex his body and long tail to do a funny dance! 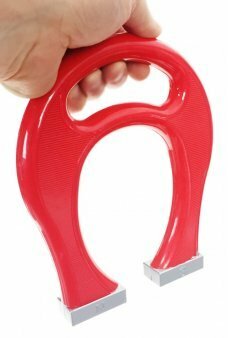 Just push his square base ..
Our Gigantic Horseshoe Magnet is the classic super strong magnet toy. The bright red and silve..
Our beautiful Myra the Monkey lifts her body with her long shiny pink arms. 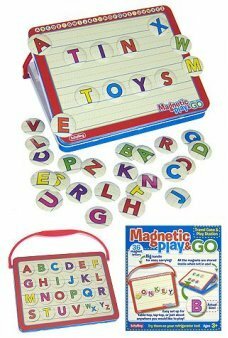 Myra happily side walks..
Move the round magnetic letters to make words on our adorable Magnetic Play & Go tin set! A grea.. 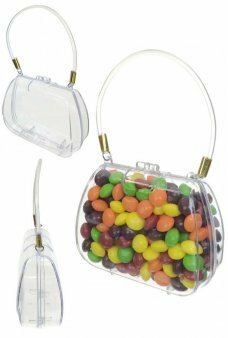 It's a cute clear Purse to hold your candy or coins. Our classic handbag with handle is shiny clear ..